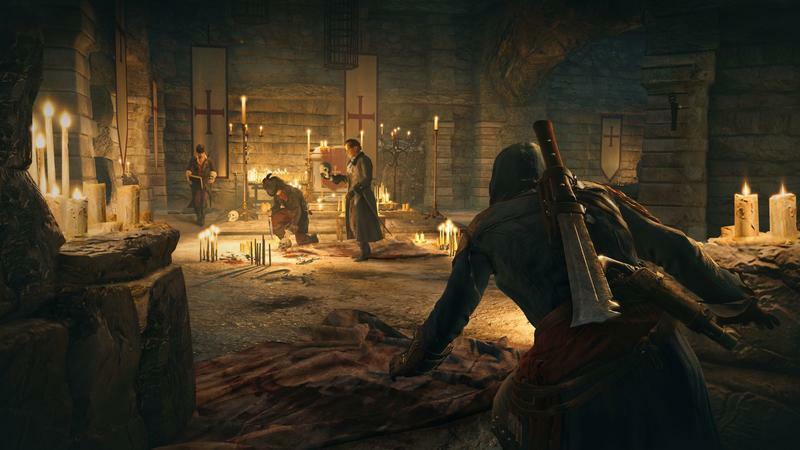 Assassin's Creed is one of Ubisoft's biggest properties, but for some reason Assassin's Creed Unity still hit shelves with a number of technical issues being reported by players across all platforms. Whether the team genuinely thought the game was ready for primetime or someone said it needed to be out in time for Black Friday, I can't imagine we'll ever get an admission from the publisher. What they have done, though, is start a blog to track updates to the game to address fan concerns. In addition to a Day 1 patch already released, the team says that they "are currently working on [their] next update that will help address specific issues some players are having," including Arno falling through the ground, games crashing when joining a co-op session, Arno getting caught inside of hay carts, and delays in reaching the main menu screen at game start. As I play the game for review, I've currently experienced three of those four. I've managed to escape the Parisian man-eating hay carts successfully so far. In addition to those problems, they say they're looking into the frame rate issues that are plaguing every version, as well as graphical and matchmaking issues. Hopefully, Ubisoft will learn from this string of premature game releases and give games the time they need to get finished.